From "My Heart is True" Booklet. 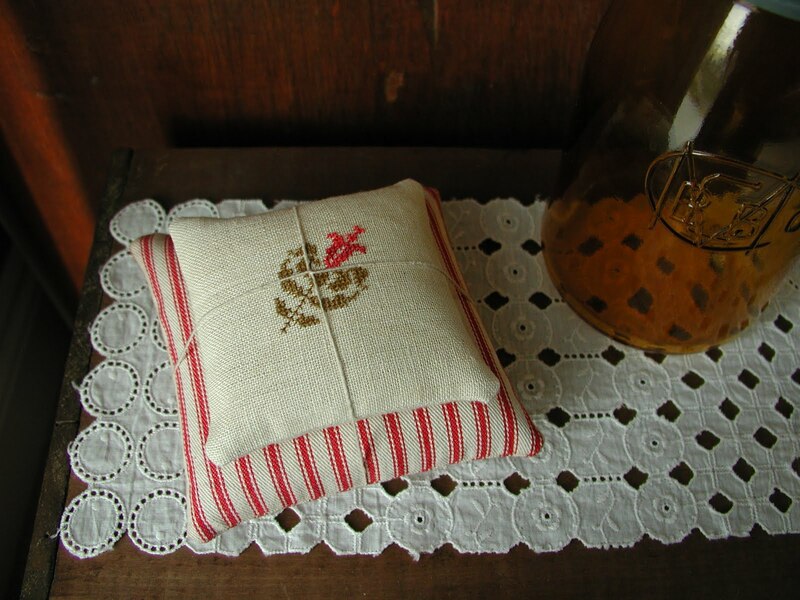 Bottom pincushion is done with Red & Cream Ticking. Very cute...love the finishing and pairing with the ticking pillow. So adorable, the ticking pillow is the perfect companion and I love how you tied them together like that! Gorgeous!